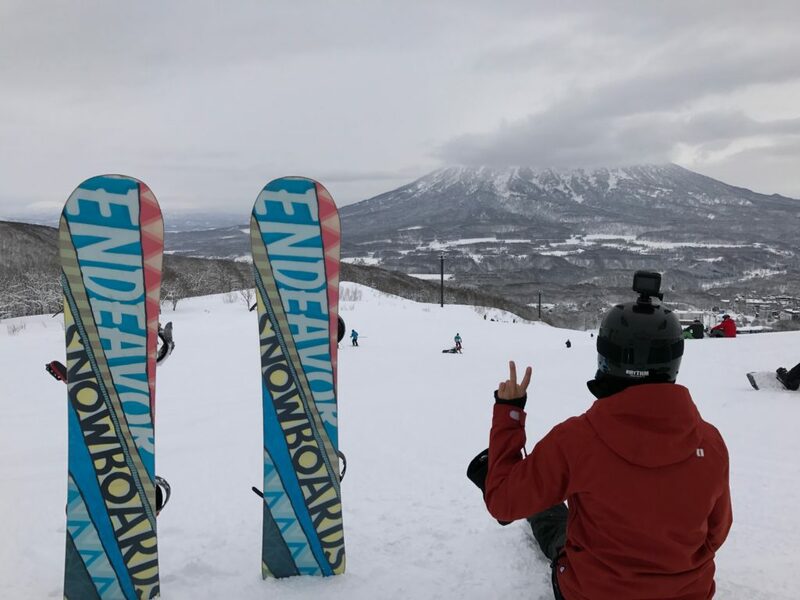 Arguably one of the BEST spots to hit the slopes in the world, Niseko, Japan offers up beautiful mountains, fresh powder, delicious food and a whole lot of fun! We were only here three short nights and I wish we would’ve stayed a week, but it’s super pricey! Looking for info on other cities in Japan? Check out my Blog Posts on Osaka, Kyoto, Tokyo and Sapporo. The ski and snowboarding seasons lasts from late November to early May, so grab your gear and go! The JR Pass is worth every dollar. 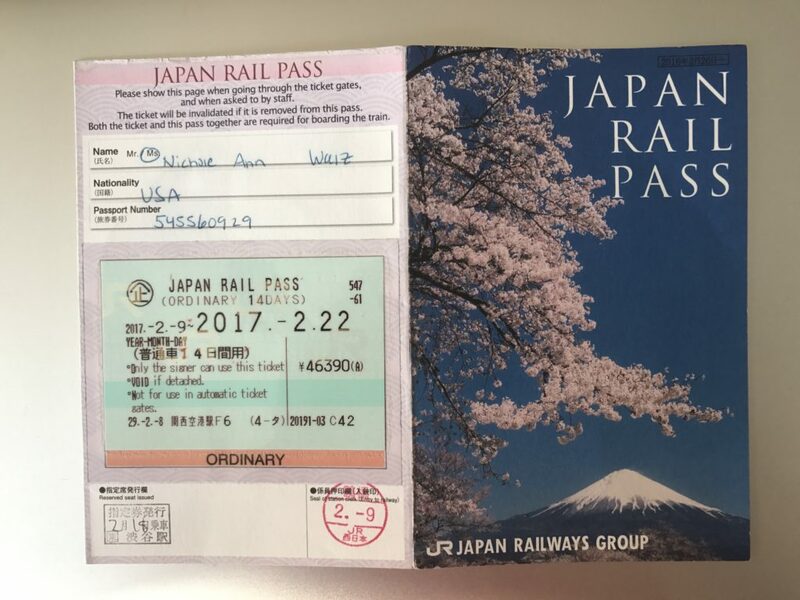 Japan Rail or JR Pass is a MUST purchase if you’re planning to travel all over Japan. It MUST be purchased prior to arriving in Japan and expires in 7, 14 or 21 days (your choice) from the date of activation. The JR Pass can be activated at any JR office upon arrival in the country, located at all major train stations throughout the large cities. There are different regions of passes, but I suggest to get the N-Pass (Nationwide), which worked well for the 14 days and multiple cities we explored. The cost ranges from $200USD-$500. Be SURE to reserve your seats on long journeys on the bullet trains (Kyoto to Tokyo, Tokyo to Sapporo) ahead of time at the JR stations at no additional cost. There is no need to do this for short distances. Do NOTE that the entire journey with three different trains takes about 8 hours total from Tokyo to Niseko, so PACK FOOD! We made the mistake of only bringing a sandwich and, although there is a good selection of food on train #1, train #2’s selection was minimal and #3 was non-existent. Needless to say, we were totally HANGRY upon arrival. TRAIN #1: 4 hour journey: Tokyo to Shin Hakodate Hokuto via bullet train. This was the MOST AyMAZING train I’d ever been on. It was SO fast and SO smooth and SO spacious. I was absolutely fascinated by the fact that it goes underground between the islands! TRAIN #2: 1 hour journey: After arriving at Shin Hakodate Hokuto, we got onto another train to Oshamambe, which took about an hour. 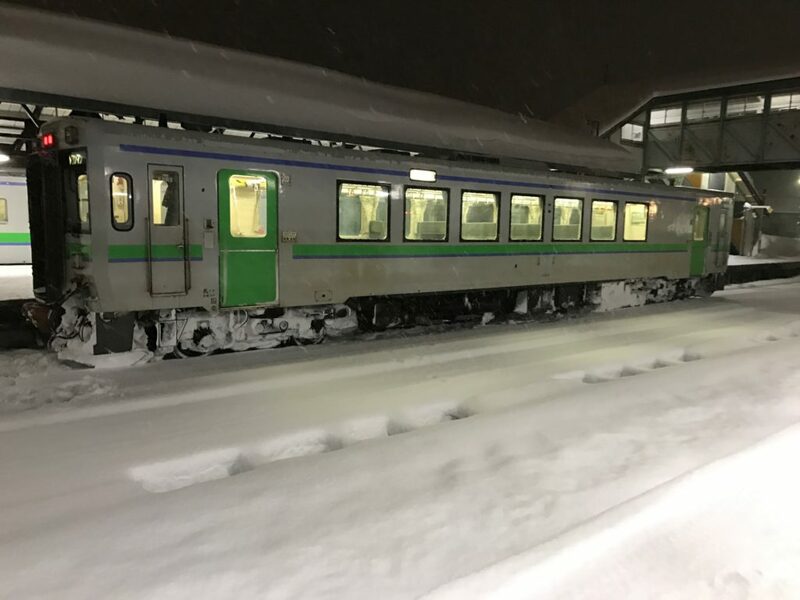 TRAIN #3: 1.5 hour journey: Finally, we took the local, JR train from Oshamamabe to Kutchan Station (the closest station to Niseko). This ride was absolutely gorgeous through the snow covered hills and mountains. It was totally magical riding on a small, local train with the snow coming down. Our hotel picked us up from the train station and brought us to the accommodation (15 minute ride into the city). Taxis are available all around Niseko to take you to your accommodation for under $10USD. Free Shuttles are everywhere in this town! From the Gondala, there is a free Hirafu shuttle that goes to Main Village and East Village Shuttle (see table below). Our hotel was located along the East Village shuttle, stop #26 and then a 5 minute walk from there. Our hotel also offered a free shuttle during the day, as many others do. It wouldn’t be Japan if you weren’t walking walking walking…bring your boots! 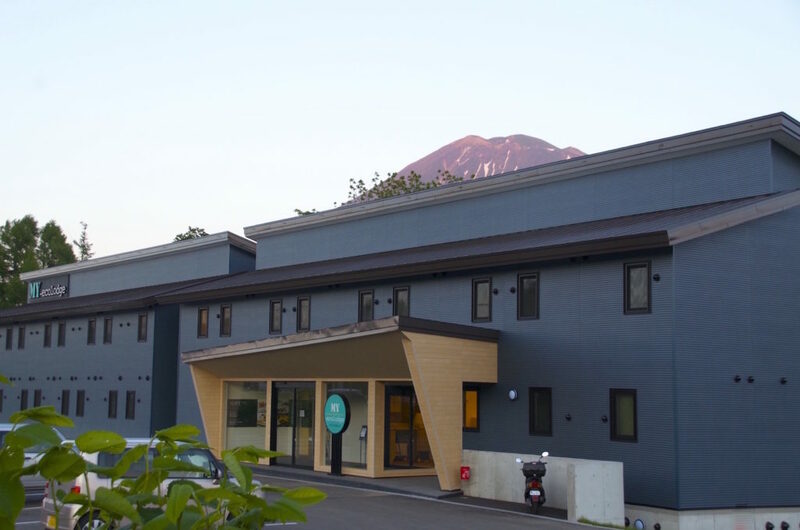 My EcoLodge was the most affordable accommodation I could find in Niseko, which was not affordable at all in comparison to other countries throughout Asia (haha). This hotel has EXCELLENT customer service, from answering all the many emails of questions I asked them before/during our stay, to arranging pickup from the train station…we were very impressed the entire time. My EconoLodge was built in November of 2015, so it is very new. It dubs itself as a modern, budget friendly hostel. If you’re willing to bunk up with others, it’s definitely more cost affective. They provide a great breakfast buffet, included in your rate, and free transport to/from the train station and Grand Harifu Gondala/Welcome Center every 20 minutes from 7:30am-4:00pm. The rooms are small, but very clean and very eco-friendly. Our bed was very comfortable, the shower was great and the room included a safe box and min-fridge. A private room was around $200USD/night. Snowboarding is not easy if it’s your first time! Unless you’ve pre-purchased all your equipment and are bringing it with you, renting equipment is a MUST when coming to the slopes. We chose Rhythm Snowsport for rental because of their reputation and we were VERY impressed. They offer free pickup/dropoff from your accommodation to collect/return equipment, which is a bonus in the cold weather. The staff is really helpful, especially for newbies like us, and the equipment is high quality with little wear and tear. If you get in late like we did, I’d suggest picking up your equipment after arrival, as it takes about 1+hours and you probably want to save your time for the slopes the following morning. We rented a snowboard, boots, helmet, jacket, pants, wrist guards and Apres Boots for walking around town for about $95/day. If you book lessons with Go Snow, they also give you a 5% discount. Rental companies DO NOT rent goggles, gloves/mittens, ski masks, beanies and socks, so be sure to bring your own prior to arrival, or you can purchase in their shop for a total of $75USD for all. I cannot even explain how fun it really is! 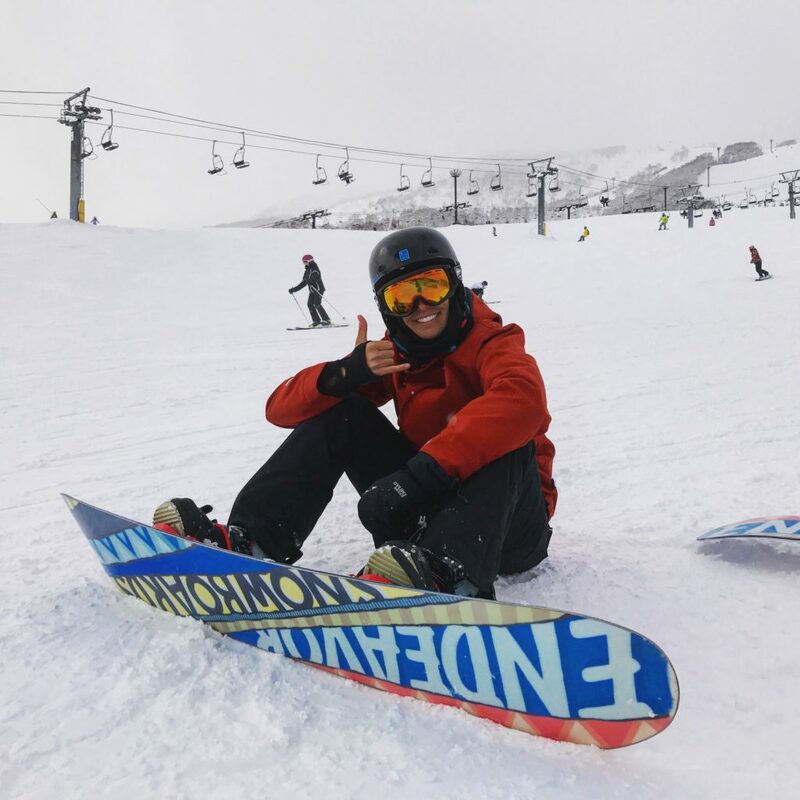 If you’ve never snowboarded before, then a lesson is a MUST! 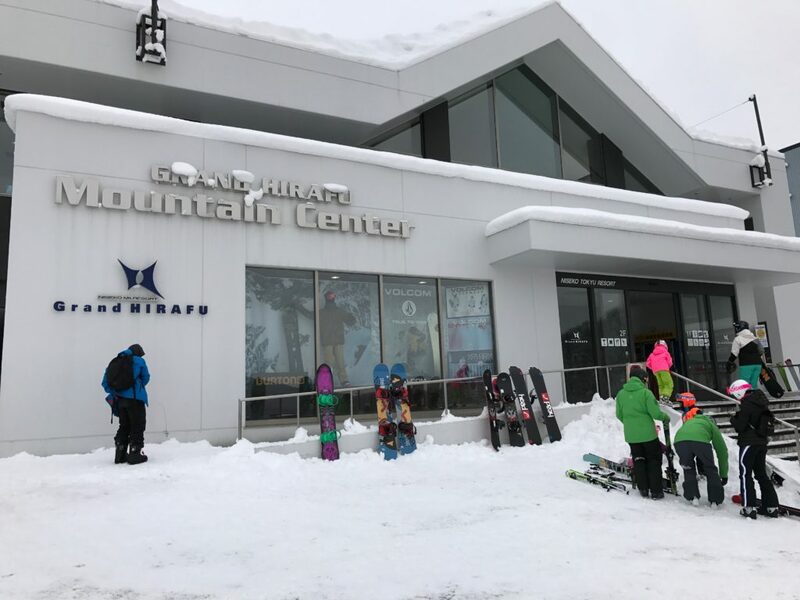 We took a half-day group lesson with Go Snow, a very reputable company in Niseko. They are located at the Hirafu Gondala, inside, which is very convenient because all shuttles go there. I’d definitely recommend them for convenience/price. Half-day lessons cost about $90 and are really worth every dollar. This lesson covers the basics of boarding, but a full day of lessons is needed to cover turning/getting on/off the lift and more details, if you have the time (which we didn’t). So, we YouTube’d how to turn on the snowboard and how to get on/off the lift and we did just fine, although I wouldn’t recommend this for everyone. Being in good physical shape definitely helps with snowboarding, but we still fell a LOT (I have MANY bruises all over my body/aches as proof haha, but we had a blast!). If it’s your first time, make sure you get wrist guards! Purchasing the tickets can be really confusing, but I’ll try to break it down the way Eco-Lodge explained it. Basically, Mt. Niseko Annupuri is one mountain that is split into four different resorts: Hanazono, Hirafu, Niseko and Annupuri. 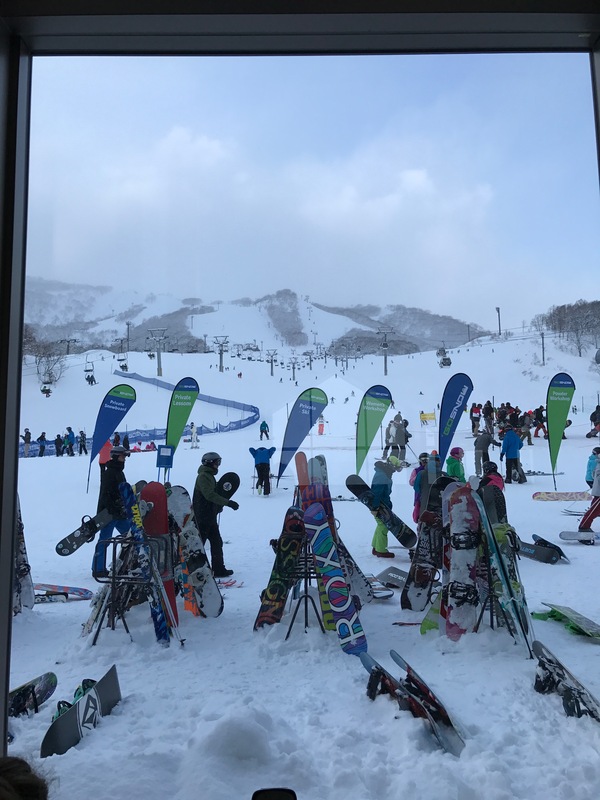 You can pay for the lift tickets with a credit card, but a $1000yen ($10USD) cash deposit must be paid for the pass itself, which is refunded in the kiosks after you’re finished with your trip. 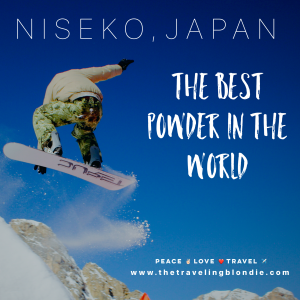 For more Niseko Ticket Info, you can visit their website. You don’t need to purchase your lift tickets until you arrive in Niseko. NO COTTON- cotton gets wet and stays wet=cold. I purchased a thermal long sleeved shirt and sweatpants prior to coming, which worked out great. Josh wore a sweatshirt (non-cotton) with a t-shirt underneath and thermal pants. SOCKS-get the tall, knee-high snowboarding socks. You do not need to wear multiple pairs of socks, as the boots are super warm and insulated. NO JEANS-jeans get wet, and stay wet, plus they are binding and bunch behind the knees. HEADPHONES-we loved cruising down the slopes with headphones in, jamming out to music, but keep in mind that you’ll be wearing a ski mask, beanie and helmet, so big headphones won’t work (earbuds are best and if you have wireless, that’s a bonus). GLOVES vs MITTENS: I wear mittens, Josh wears gloves. Mittens hold in heat better, because your four fingers are together, so, if you’re cold all the time, then mittens are the best choice. You don’t need your four fingers to do anything while snowboarding anyway, as you just need your thumb to undo your bindings on your board. You fall…A LOT! I’ve ran marathons and done some crazy workouts in my life, but my body has NEVER been as sore as it was the next morning after each day of boarding. Stretch! Every morning and night after boarding, stretch for 10 minutes, it helps a lot with soreness/stiffness, especially the next morning. Wear wrist guards! Even though they may not look too cool, if you’re a beginner, you’re going to fall SO much on your hands and the best way to ruin your snowboarding trip (that you’ve paid a LOT of money for), is to break your wrist. Observe the greatest bowl of Ramen that ever existed..
Niseko Ramen is a MUST! 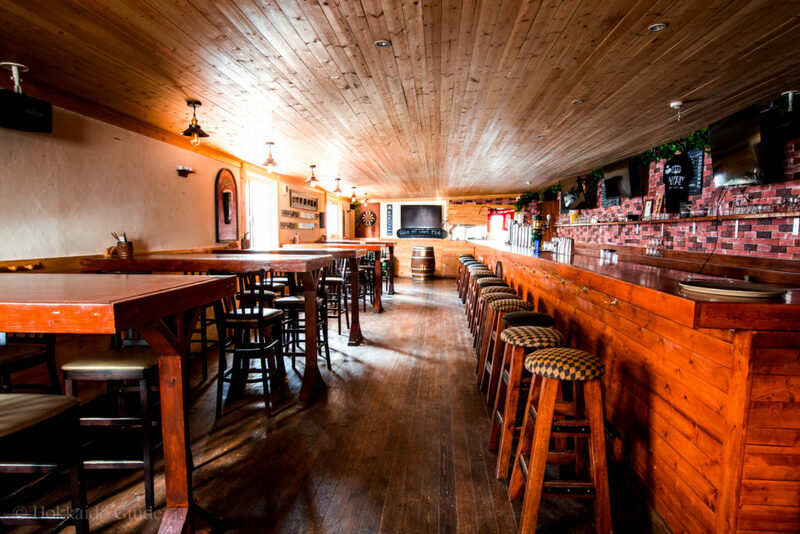 There’s nothing better than hitting the slopes in the morning, then coming to this place for a hot bowl of ramen for lunch. If you get there around 12, you’ll beat the lunch crowd and avoid the wait. They’re famous Niseko Ramen (with potatoes) is to DIE FOR and is one of the BEST ramen’s we ever eaten. Also, be sure to order the chicken wing gyoza, which is a chicken with filled with gyoza (dumpling) filling and deep fried. You’ll be dreaming about it for days afterward…I still am! 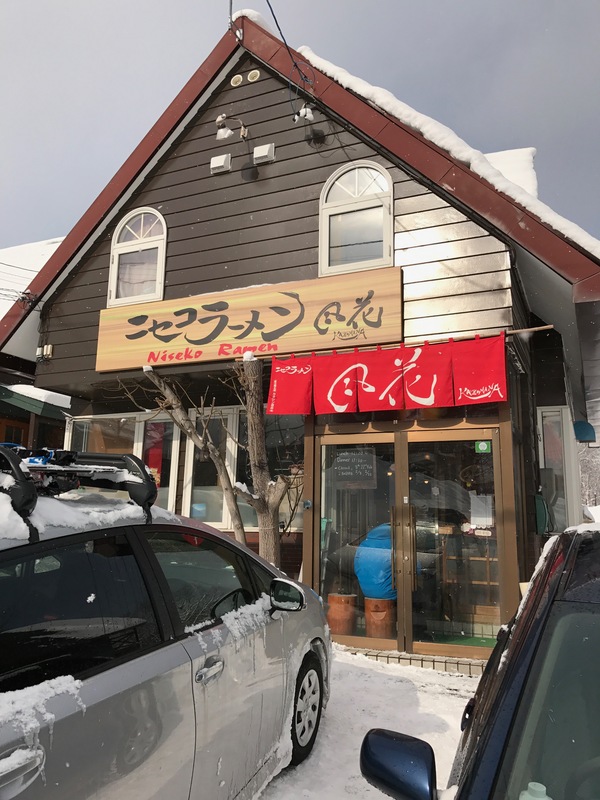 Bar Moon is another favorite in Niseko for Ramen, although I have to be honest with you, we never ate here because we were SOOO obsessed with Niseko Ramen (haha)! 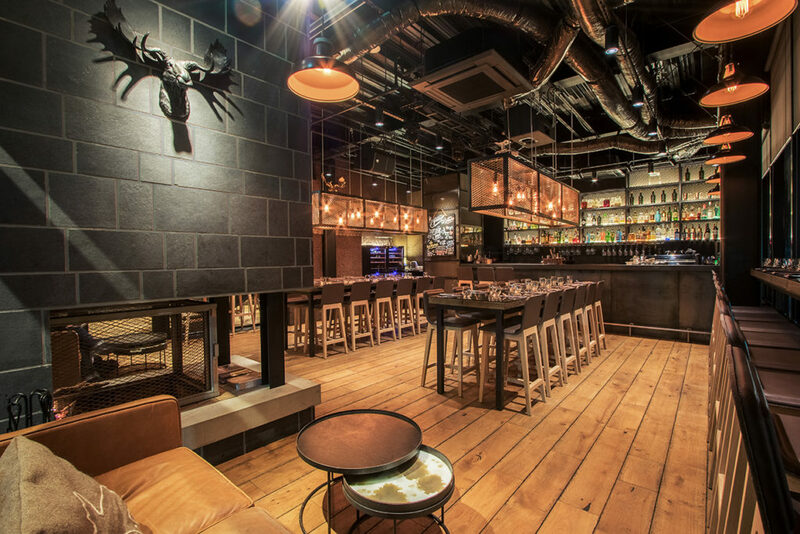 For a more upscale sheik bar, Musu is your spot for an expensive cocktail, good live music, tapas and an older, more relaxed crowd. With Hotpots and Hokkaido specialities, A Bu Cha is a perfect place for dinner! Be SURE to make a reservation as it’s very busy during peak season and there are only a few restaurants in the city. This restaurant is SUPER convenient, as it’s located right at the base of Grand Hirafu. They have a wide range of dishes and fast service. We had coffee each day there to warm up halfway through the day. 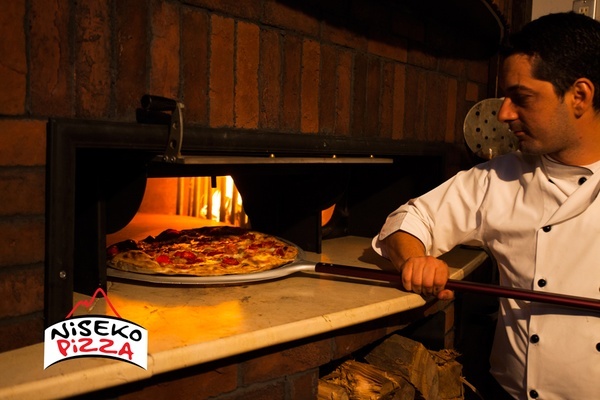 There’s a reason why Japan has won ‘best pizza in the world’ for many years and Niseko Pizza and Lava Lounge Pizza won’t disappoint! 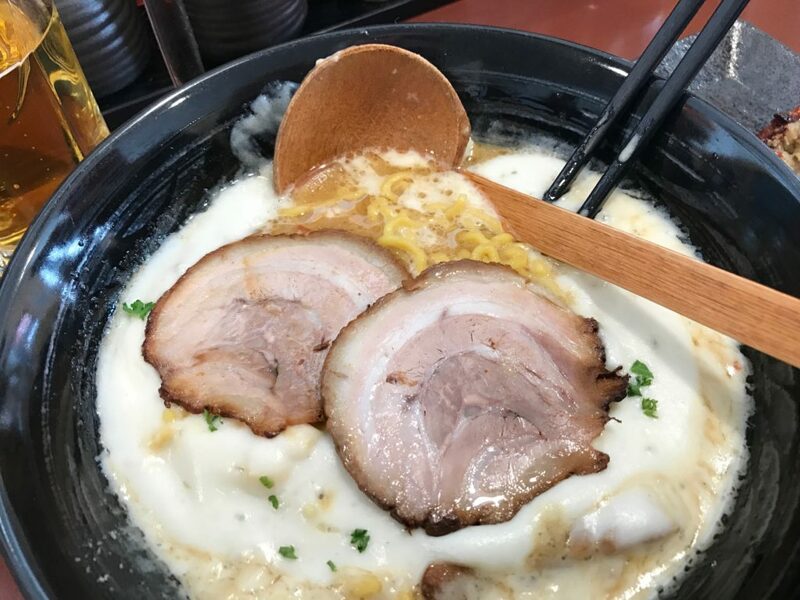 Wild Bills, Tamashio’s and The Slippery Slope are THE places to go for drinks and a good time, but have great food as well! 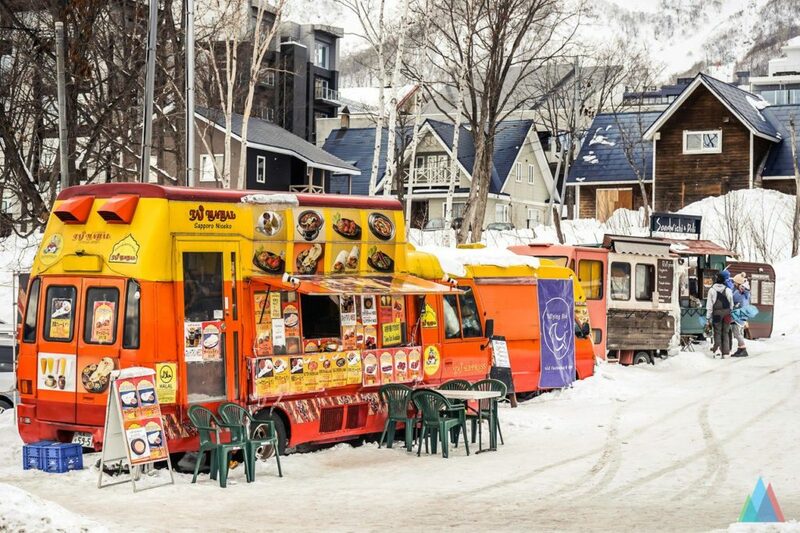 For cheap, fast food, the food trucks in Niseko NEVER disappoint and they’re conveniently located downtown near Seico Mart. 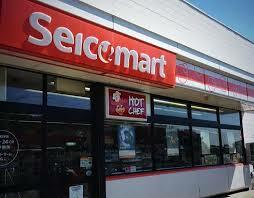 Seico Mart is Open 24 hours. This 7/11-ish convenience store has a lot of snacks and cheap eats, if you want to really save cash.